Coyote Blog » Blog Archive » Anyone Know What This Is? I found this picture, c. 1961, in some old photos my parents took. From the photos around it, it looks to have been taken on a driving tour of ante-bellum mansions in Louisiana and Mississippi. Pretty sure it is Longwood, great blog by the way. Yup. That's what I came up with, too. Just drag the image you are interested in into the search field (or upload, or paste the image URL). It's a very handy tool. ITheynot only fixed it up they seem to have staffed it with brand new slaves. 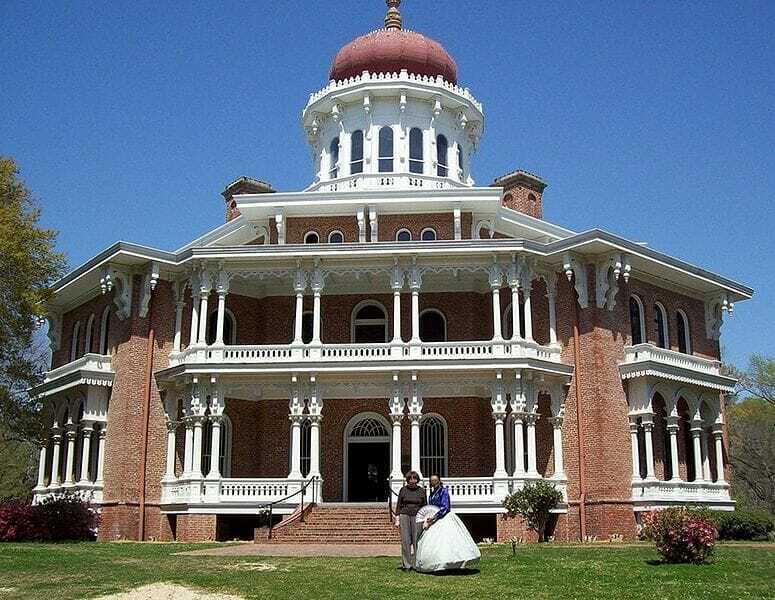 Longwood in Natchez, Mississippi, is a 6 story, 30,000 square foot home which was under constrution when the Civil War started in 1861. The owner died during the war, much of his property and wealth was lost and the house was never finished. It was owned by his descendants unitl the 1960s and is now owned and maintained by the Pilgrimage Garden Club. 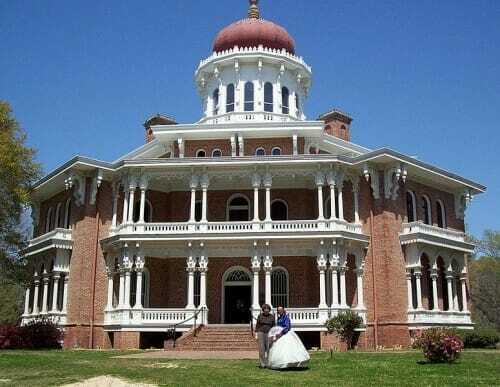 It is open for touring daily from 9 to 5 except for major holidays and is avaialable for weddings and receptions. Longwood was built by Haller Nutt in 1860 as a home for himself, his wife, and their eight children. 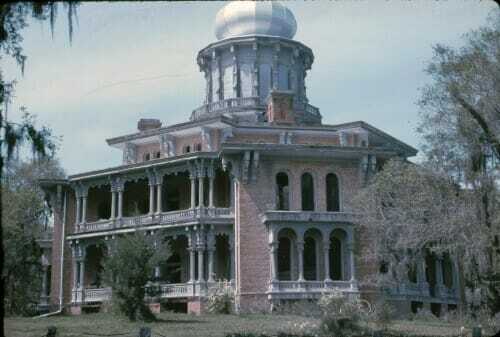 This 19th Century Oriental Style villa was to have been one of the grandest houses in the Natchez, Mississippi area. Architect Samuel Sloan of Philadelphia, Pennsylvania was hired to design the house in 1859, but work was left unfinished with the outbreak of the Civil War in 1861. In April of that year, the news of the beginning of the war reached the Natchez area, and the Philadelphia artisans dropped their tools and returned north to join the Union forces. Although he was a Union sympathizer, Nutt lost his fortune as a result of the war and died in 1864 of pneumonia — although some claim it was of a broken heart over the lost dream of his magnificent Longwood.